Half an hour ago I was going to just ask you about some unexpected bubbles in my sink. 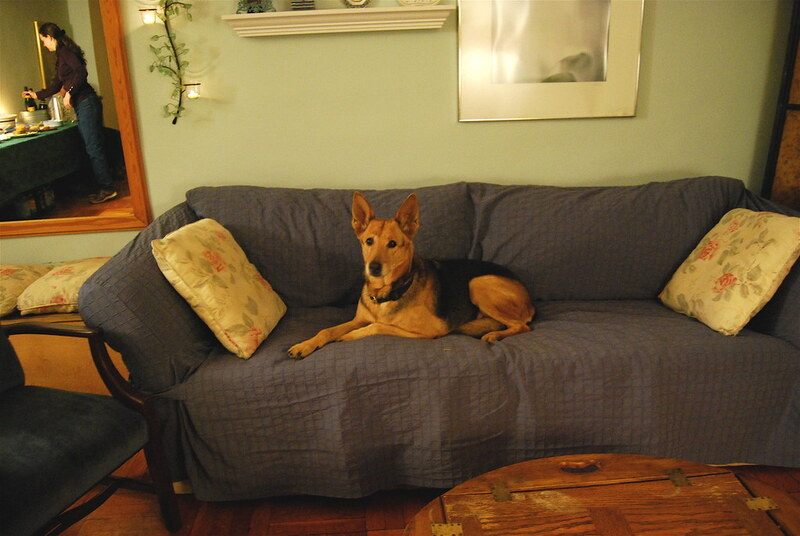 Then I went and read Neil Gaiman's blog post about the death of his famous dog, Cabal. I was already crushed by the news last night but to read Cabal's majestic story and its unjustly plebeian ending only increased the pressure on my heart. I couldn't share anything else with you today. Here is the blog post and, I'm not going to lie to you, it's not an easy read if you have ever lost someone you love, but it is wonderful. It ends with a poem by Kipling that I'm not familiar with. I love it. Photo is of my dearly departed girl, Emily. no, you couldn't write anything else. tears, and so very glad he had him. so very glad. i hadn't heard the Kipling poem, either, and i wouldn't have understood a year ago. now, i understand. and i hate that i do. that's a lovely shot of Emily! Not once until today has Neil ever made me cry.